If you've glanced over the screens and video you might've already seen - This game is extremely similar to the original The Legend of Zelda game. The overworld is similar, the gameplay is similar, what you have to do is similar, and even some enemies and items are similar! 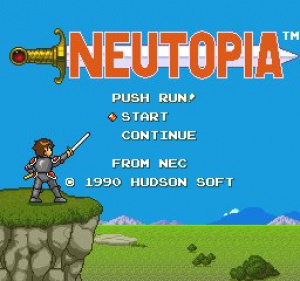 But don't let any of this fool you - Neutopia's one step ahead of the game it copied. The main goal of the game is similar, but slightly different - There are 8 Medallions that you must retrieve from 8 dungeons. These dungeons are scattered around 4 different worlds (2 dungeons per world). Each of these worlds is relatively large with many screens, a lot of them having caves with people that offer helpful advice or sell item. Some of these caves have to be found first, just like Zelda, by blowing open walls, killing all enemies, moving rocks or burning bushes to reveal secret entrances. After retrieving all Medallions from the dungeons, you battle the final boss. Some people around the world also hold key items that you will need in order to get through the dungeons in the game, or simply items to make your life easier (Life extensions and such). Therefore it is recommended that you take a while to scour through the overworld and talk to everyone, however useless some of the people may be. There are also shops that sell useful items and people that heal you. When you find the first dungeon you'll really see how much the game resembles Zelda - It's similarly drab in appearance to Zelda's dungeons, with an occasional pool of water here and there, or fireball-shooting statues. There's even pushable blocks just like in Zelda! However, you'll find that later dungeons will look somewhat more interesting, unlike the Zelda dungeons which never really change. In the dungeons the goal is simple - Just get to the end and kill the boss. This doesn't just require mindless enemy killing, block pushing and key finding like in Zelda though - You might also have to use a certain special item that you find outside the dungeon in order to get something done. The game also has bombable walls like Zelda (And bombs, of course), but, while they start out obviously marked with stuff like murals, eventually they'll look just like any ordinary wall, so you'll have to search very carefully. Unlike Zelda the sword isn't your only main weapon - You can rather quickly find a flame rod that shoots fire and gets powerful with every life unit you get, and you will probably prefer to use this over the sword. 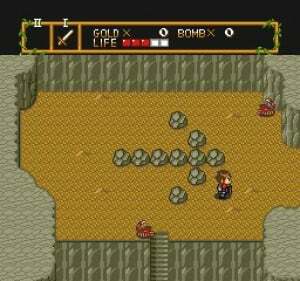 There're also a few other things not in Zelda, such as Wings that teleport you to the world's entrance, and a few things that are in Zelda, like medicine. You can collect coins by killing enemies in order to buy these things and tackle a dungeon with some extra help. 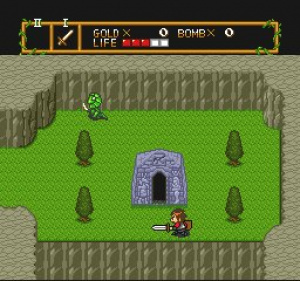 Thankfully, the game's not as difficult as The Legend of Zelda - There's no overly huge masses of super strong enemies that can only be hit in the back that walk around randomly, for example. Bosses aren't that hard either, but each of them is different, unlike the repeating bosses in Zelda, which provides some more welcome variety. If you're looking for an experience similar to the original Zelda (There's never truly been a Zelda like it since) then look no further, you would do well to check out this game. It copies Zelda well while adding loads of unique touches of it's own and makes for a very interesting game, perhaps even better than it's forerunner! 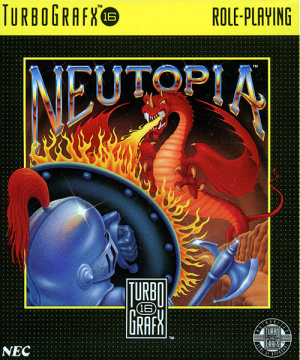 This is easily the best game of it's kind. 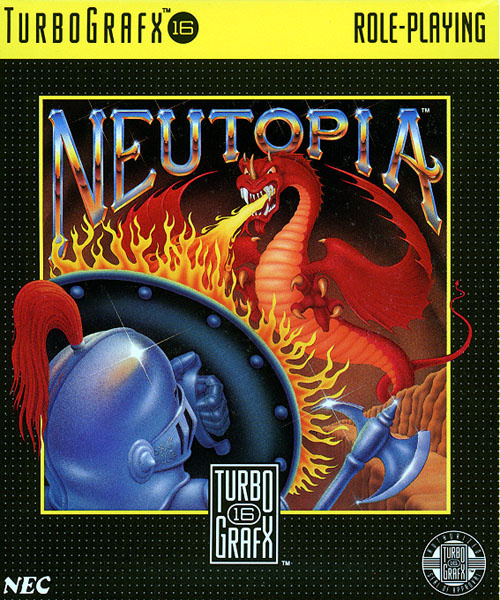 Well, except for Neutopia II. While it might look like nothing more than a cheap Zelda clone, Neutopia is actually a fantastic rpg/adventure title that any fan of the genre should at least check out. Thank you for that addition, Corbie. It's on my list as of yesterday. 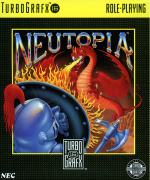 I'm gonna check out Neutopia II's Review now. Great game and a bargain at 6 bucks. This is my next VC Purchase, after Im done with 3D Dot Game Heroes Ill need another original Zelda fix.